In recognition of the U.S Food and Drug Administration’s (FDA) ban on e-cigarette sales to youth in effect this past month, the American Association for Cancer Research (AACR) Tobacco and Cancer Subcommittee has released a new webinar, “E-cigarettes: Research, Public Health Concerns and Opportunities, and Regulations,” featuring key experts that will present current research on and the public health impact of e-cigarettes. Amgen had been hoping to use this study to help justify the $10.4 billion acquisition of Onyx Pharmaceuticals back in 2013, after Onyx had pushed the treatment through to an approval. Expectations of peak annual sales of about $2.3 billion for Kyprolis are now likely to cool, particularly since newly diagnosed patients constitute the largest market in terms of the number of patients and duration of therapy, some analysts said. Fortis is licensing the technology behind the drug program from the University of California, San Francisco, where it was developed in the lab of Bin Liu. Liu has identified a protein on the surface of tumor cells that the cells use to take in nutrients. Fortis declined to divulge more details about the target, but said Liu has submitted a paper on the topic to a scientific journal. In his opening keynote, Philip D. Greenberg, Ph.D., who is head of immunology at the Fred Hutchinson Cancer Research Center and the University of Washington and a member of CRI’s Scientific Advisory Council (SAC), discussed his chosen antigens, WT1, CyclinA1, and mesothelin. The second session here at the International Cancer Immunotherapy Conference, taking place in New York City this week, discussed how current checkpoints fail, and explored the potential of other checkpoints that are being targeted to improve patient responses. New collaboration will explore the potential benefits of combining Bristol-Myers Squibb’s anti-PD-1 antibody with Nektar’s CD122-biased agonist in five tumor types. It’s easy to see why Bristol-Myers would be interested enough to foot half the costs of the upcoming work. Nektar has been running animal studies that demonstrated their drug’s ability to spur immune T cells to divide and activate, amping up an immune response. If a combo works, was it more because of drug A, drug B or something else? If it fails, is it because the drugs don’t work well together, or because they are being dosed in the wrong concentrations or wrong sequence? Will two potent drugs together cause too much toxicity? Can companies can play well together in the sandbox? What about the cost of two drugs versus one? The list of challenges goes on. The collaboration involves Nektar's NKTR-214, an experimental immuno-stimulatory therapy designed to increase the expression of PD-1 on immune cells. They examined the post-FDA career paths of 55 hematology-oncology medical reviewers who approved and rejected drugs for the FDA from 2001 to 2010, discovering that 15 subsequently worked for or consulted to the biopharmaceutical industry. More than a quarter of the Food and Drug Administration employees who approved cancer and hematology drugs from 2001 through 2010 left the agency and now work or consult for pharmaceutical companies, according to research published by a prominent medical journal Tuesday. Pegaspargase, as part of antineoplastic combination therapy, is recommended as an option for treating acute lymphoblastic leukaemia in children, young people and adults only when they have untreated newly diagnosed disease. - docetaxel is contraindicated or is not suitable for them. The drug is only recommended if the company provides radium‑223 dichloride with the discount agreed in the patient access scheme. 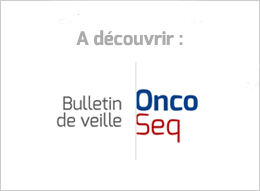 - the company provides talimogene laherparepvec with the discount agreed in the patient access scheme. Necitumumab, in combination with gemcitabine and cisplatin, is not recommended within its marketing authorisation for adults with locally advanced or metastatic epidermal growth factor receptor (EGFR)-expressing squamous non-small-cell lung cancer that has not been treated with chemotherapy. “It is a conflict of interest, because the interests of the pharmaceutical industry, from whom they are getting support, may be different from the interests of the patients,” said Dr. Michael Carome, the director of the Health Research Group at Public Citizen, a consumer advocacy group. Preliminary results from combination study with avelumab in renal cell carcinoma, and updates on Phase II tepotinib program in non-small cell lung cancer, to be presented. Cabozantinib to be featured in eight presentations. Triple-negative breast cancer (TNBC) in African-American women is much more likely to lack the androgen receptor protein compared with TNBC in European-American women, and this may contribute to the racial disparity in survival outcomes among these two populations. A fifth of bowel cancer patients who received an emergency diagnosis in one year in England had characteristic symptoms the year before, suggesting their disease could have been caught earlier, researchers say. Cancer caregivers devoted more hours to caregiving each week than did noncancer caregivers (32.9 hours versus 23.9 hours), the researchers found. While Bush’s company is trying to design ways to decrease the amount of time that clinicians spend working on the EHR, here’s a more immediate and practical solution: medical scribes. Let these trained professionals interact with the EHR while doctors interact with their patients.